See here all of our videos for this project. Veja aqui todos os nossos videos desse projeto. Nesse animado jogo entre alunos em lugares totalmente diferentes, os alunos precisam descobrir onde a outra turma está, usando apenas perguntas de Sim ou Não em inglês. Com isso, os alunos aprendem muito, tanto da língua inglesa, como de geografia, e cultura mundial. 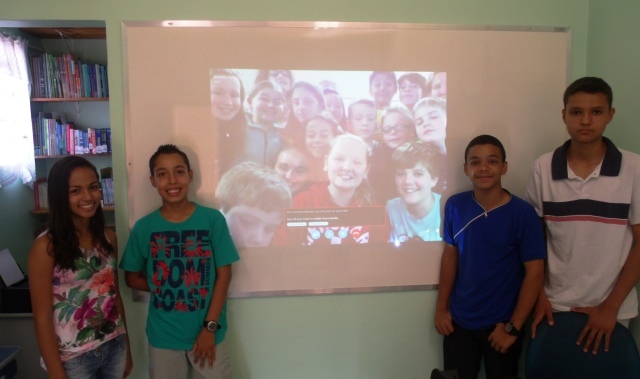 In this exciting game between students from totally different places, our students have to find out where the other class is, using only Yes or No questions. 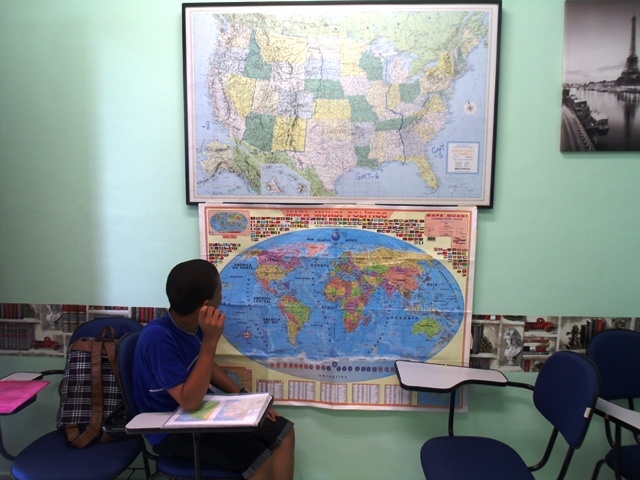 This way, they learn not only English, but also Geography and World Cultures.